Blues singer whose rendition of Leiber & Stoller's 'Hound Dog' inspired Elvis to record his future hit. She also wrote and recorded 'Ball & Chain,' a future Janis Joplin hit. 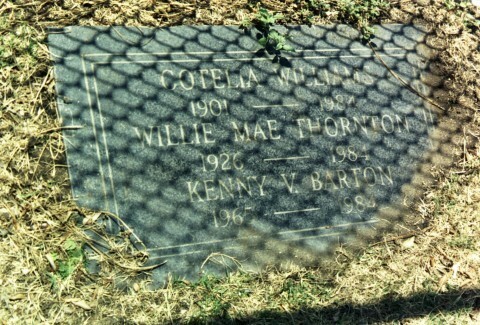 Her pauper's grave at Inglewood is almost out in the street, as you can tell by the chain link fence shadow.